The skills shortage in the resource industry is presenting a unique opportunity to solve the decades-long problem of chronic unemployment among Aboriginal people, particularly in the remote regions where miners tend to operate. Majestic Resources NL is set to make a purchasing decision on the rich Messina diamond mine in South Africa.The Perth-based diamond miner is undergoing due-diligence work on the mine, 140km from Kimberley, with a decision expected by June. The Riet River diamond mine, 35 km from the South African diamond capital of Kimberley, is Majestic’s alluvial mine. Majestic Resources NL has been almost entirely restructured in the past nine months to achieve profitability. WHILE the Pilbara and Northwest Shelf are being championed by many media outlets as heading the latest resources-led economic boom for Australia, not all is rosy for the local business community. INDIGENOUS employment in the resources industry has been an increasingly important issue for the past decade, with inroads in the Pilbara led by Hamersley Iron in the early 1990s. Some locals claim that the local whitegoods seller and the local supermarket are missing out on the macro dollars.Ms Rowlands does not entirely agree. FIGURES released by the Pilbara Development Commission in its 2001 annual report show that tourism accounts for just 1.6 per cent of the local economy, while the macro industries of iron ore, oil and gas account for a whopping 89 per cent. WATER has always been an issue for those living in the Goldfields. AN advertising campaign costing $100,000 and tens of millions of dollars in infrastructure are in the active planning stages to lift tourism in the Goldfields to a $500 million-a-year industry. THE success of Kalgoorlie/Boulder’s Saint Barbara’s Festival is typical of the resilience of the Goldfields business community and is seen as reuniting the mining community with the general population. 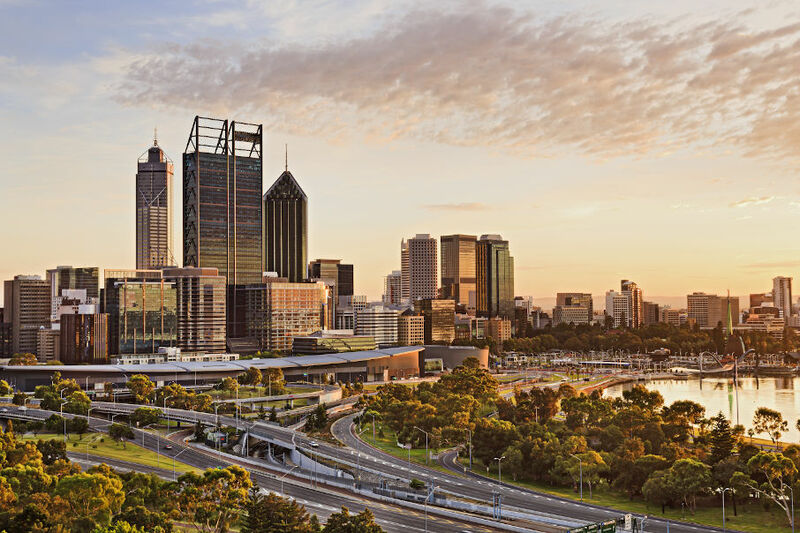 PERTH and other urban business centres throughout WA are being encouraged to forge new, or strengthen existing, links with their country cousins as part of the Year of the Outback celebrations this year. THE State Government is expected to begin drafting legislation within weeks to introduce sweeping reforms to land access procedures to clear the huge backlog of mineral tenement applications. PERTH lawyer Greg McIntyre, who represented ‘Eddie’ Koiki Mabo in the famous 1992 High Court decision, which led to the Native Title Act being passed in 1993, says the next phase of the process will be one of land management – possibly a treaty. A NEW traineeship scheme aimed at giving indigenous students a boost in the job stakes has managed a retention rate of 80 per cent and a pass rate of 60 per cent, making it one of the more successful training models in recent years. WELCOME to ‘Aboriginal Business’, a special feature for Business News aimed at increasing the level of understanding between the Aboriginal and business communities of WA. TOURISM opportunities and the provision of services to the mining industry are seen by governments and many in the Aboriginal community as the best way forward for indigenous people trying to move beyond the so-called welfare mentality. RESOURCE developers increasingly are seeking to negotiate agreements with the indigenous communities in which they operate, with the days of expensive litigation over rights and access all but behind us. THERE are all kinds of Aboriginal activists, from the individuals you see at the political protests to the people in the back rooms of private and government enterprise. THERE are three Aboriginal tours available in the Perth area, one at Yanchep, another a walking tour near Fremantle and a heritage tour run by Captain Cook Cruises from the Barrack Street jetty to Point Walter. A ROADHOUSE in the East Kimberley has become one of the great success stories for Aboriginal business, drawing together efficient management, solid community input and art. SUPERMARKET giant Coles is developing the commercial production of bush tucker with the launch of its Taste Australia range earlier this year. THE fostering and nurturing of Aboriginal business would be made far more difficult without the vital conduits formed by individuals such as Gidja (East Kimberley) man Kim Bridge. WONGATHA (Goldfields Aboriginal) man Allan James is a successful businessman who has just sold his half of Zenith Insurance, a flourishing enterprise servicing indigenous organisations Australia-wide. A RANGE of projects and initiatives is helping to improve basic infrastructure in Aboriginal communities throughout the State. THE WA Tourism Commission has signed a deal with a German television company to make a four-part documentary series featuring some of the State’s natural attractions.The deal coincides with a steady increase in the number of tourists from Germany.